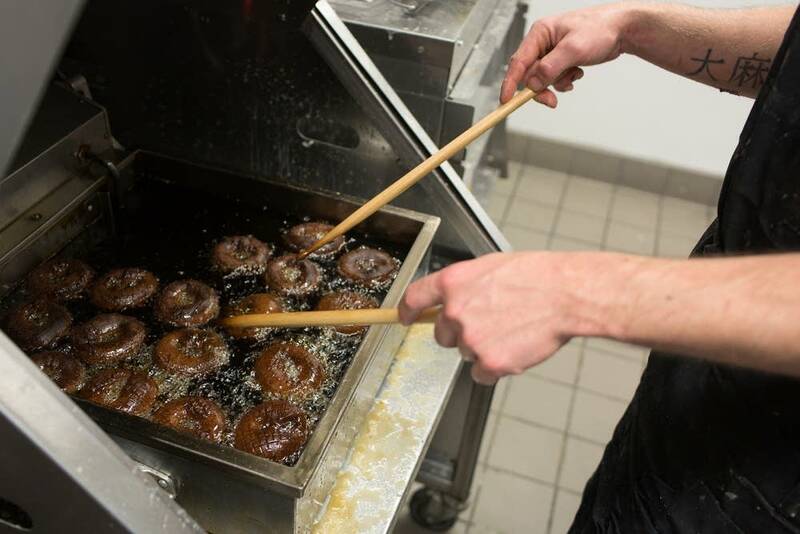 The epicurean doughnut craze continues in the Twin Cities, with a new take on the fried cake rings now in Minneapolis. 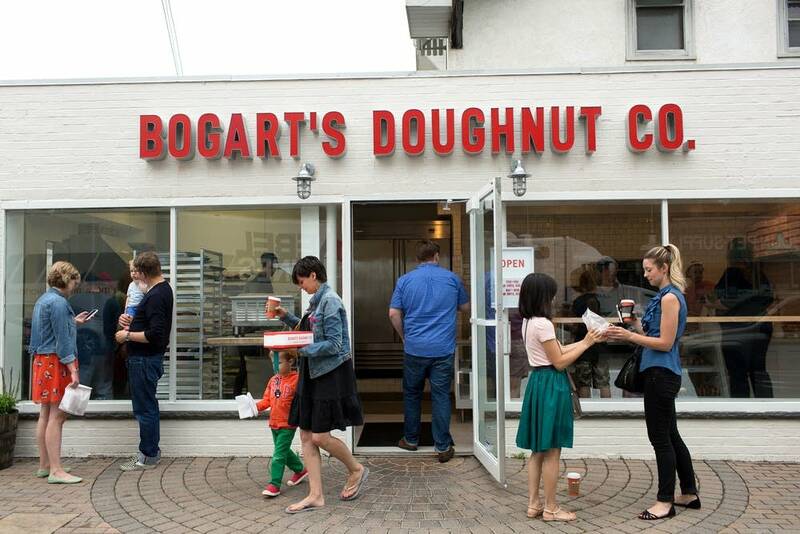 Rachel Hutton, editor of Minnesota Monthly magazine, joined MPR News' All Things Considered to tell us the story behind Bogart Doughnut Co., the latest entry in an increasingly competitive field. Tom Crann: So how did Bogart's get started? 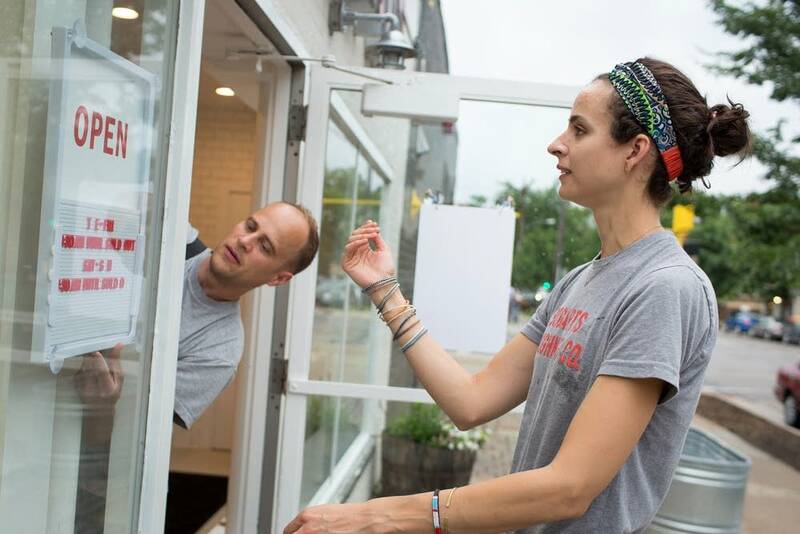 Rachel Hutton: Bogart's owner, Anne Rucker, was an attorney with a baking-and-blogging hobby until the summer of 2011, when she decided to try selling her wares at the Kingfield Farmers Market. On weekends, she'd wake up in the middle of the night to bake so everything would be fresh when the market opened. Even though her doughnuts were a lot of work — mixing the dough, raising the dough, shaping, frying — she found they were one of her favorite things to make. Crann: What kind of doughnuts does she make? Hutton: She makes cake doughnuts as well as raised-glazed, in a variety of flavors. My favorite of her cake doughnuts has a subtle lavender flavor — it's a light floral note, and makes a nice alternative to traditional vanilla. For the raised doughnuts, she does some filled varieties but I think my favorite is her plain ring doughnut with a brown-butter glaze, which lends a nutty, caramel-y flavor. For the raised doughnut, she uses a brioche dough that has a very light, fluffy, and tender texture-it's like eating a sweet cloud. Yes, Anne built quite a loyal customer base at the farmers market. But the market was perhaps even more valuable to her business because it gave her a chance to refine her product, by getting customer feedback, and by experimenting with different flavors and production techniques. Her farmers market stand essentially functioned as a prototype where she could find out what her customers really wanted as well as work out kinks in her process before she was ready for a full-fledged launch. After three seasons under her belt, she felt confident enough to open a brick-and-mortar location. Crann: That's a pattern we've also seen with many local food trucks, isn't it? Hutton: Yes, the farmers market stands and food trucks allow food entrepreneurs to get started with a much more modest capital investment than a retail location. It's a much lower-risk way to test a concept. Also: In addition to perfecting their food, entrepreneurial chefs and bakers have to manage so many aspects of a business that go way beyond the scope of kitchen skills, from renovating a space to processing employee payroll, so it's a little more manageable to start at a smaller scale and grow. Well, a few weeks ago, she opened a tiny shop at 36th and Bryant in south Minneapolis, and it was instantly mobbed. It's a tiny space — just a retail counter to buy doughnuts, with no seating — so lines have been forming outside before the place opens. 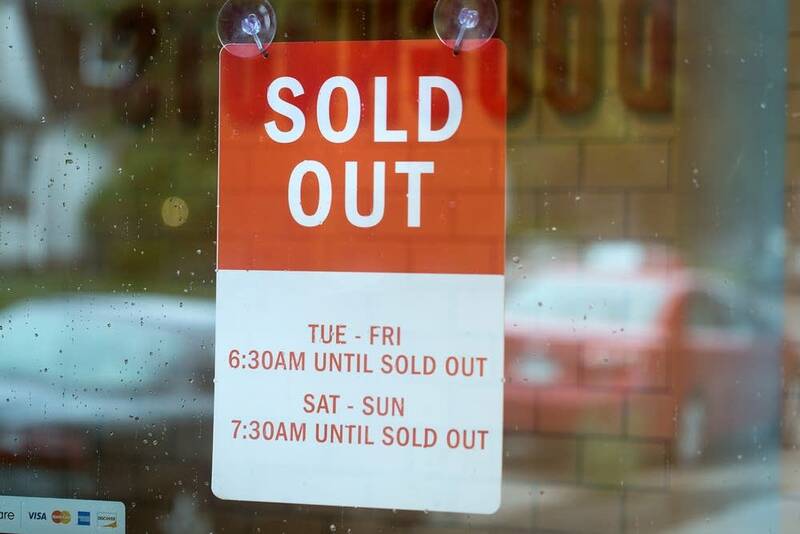 On weekends they stretch down the block and inventory has been selling out every day by around 10:30 a.m.
Crann: How do these doughnuts compare to those at other shops? 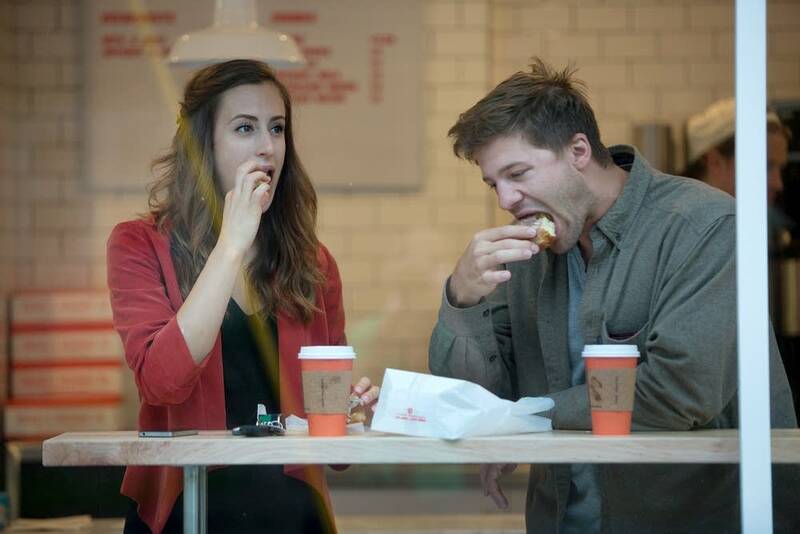 Hutton: Doughnut shops are hot right now so there are a lot of options in the Twin Cities, but each one seems to take a slightly different approach. 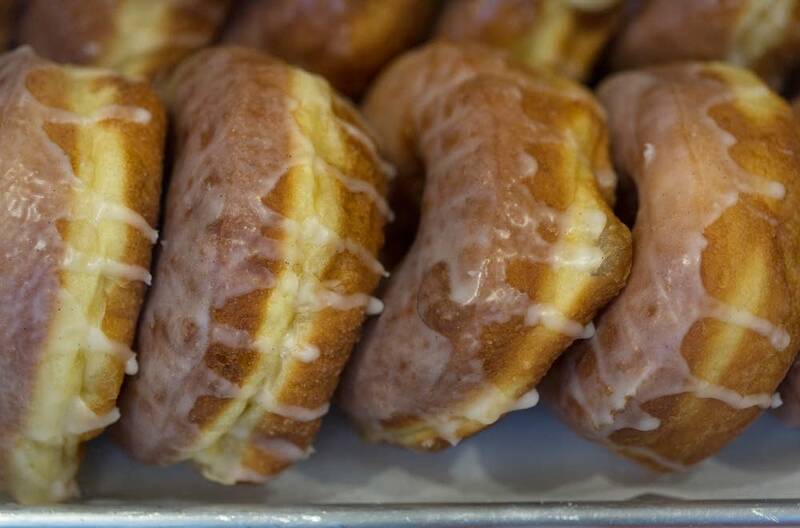 The old-school bakeries, places like Sara Jane's in Northeast and A Baker's Wife in Longfellow, excel in classic cake doughnuts. Places like YoYo Doughnuts in Minnetonka or Glam Doll on Eat Street or Mojo Monkey in St. Paul specialize in funky flavors and over-the-top toppings, such as maple bacon and peanut butter sriracha. Anne's approach is somewhere between the those two philosophies, the way she does the traditional raised doughnuts with the richer, yeastier egg-and-butter brioche dough. Crann: Sounds like I'm going to have to move fast if I want to try these doughnuts. Hutton: Yes, you can check out the shop's social media feeds as they put out alerts when supply is running low and when they're sold out. And Anne says she's increasing production as fast as she can. She's already buying three times the amount of ingredients as when she opened and also ordered a second fryer. Her goal at this point is to make enough inventory to stay open until noon. Eventually, perhaps once she's able to sleep more than a few hours each night, she wants to be able to fulfill special orders. Right now she has a one-dozen limit. Yes, but the line is part of the fun! I bumped into my friends there last weekend and also made a few new ones while I was waiting. There's a lot more camaraderie in a doughnut line than one at the DMV.